Each month we will be picking our top ten cookbooks of the month. Some will be new out, some will be old favourites, all will be worth a read! December is a smashing month to start as a cook book is sure to be at the top of many of your Christmas lists. Why not try one of these. We knew a December list of cookery books couldn’t be complete without Nigella’s Christmas book. Plenty of recipes to see you through the Christmas season! Sixty years ago food was in short supply and malnutrition rates were high. The Ministry of Food was set up to teach the public how to make the best use of the food available to them. Fast forward to the present day, where we have unlimited choices and plenty of food, yet we’re living in a world of junk food, additives and preservatives. Our war is now against obesity, as most people have little or no idea about how to cook and what makes a balanced diet. 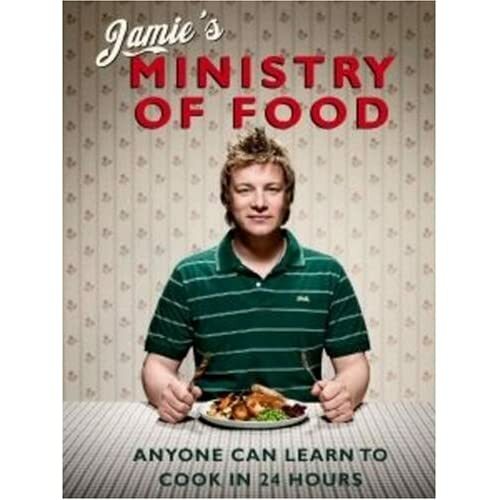 Jamie’s promise to you is that you’ll be making some great dinners within hours of reading his book. A little knowledge and a few basic tools can go a long way, and this book is your first step . 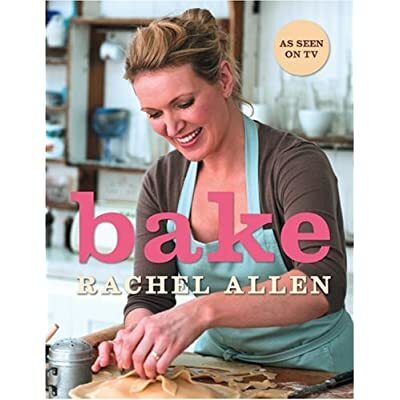 . .
Rachel Allen, is back with a collection of delicious and easy cakes and bakes, tarts and pies, quiches and casseroles from her brand new TV series. What could be better than the smell of freshly baked bread or the joy of eating warm cookies straight from the oven? Do you pine for the pleasures of gingerbread houses and holiday delights or the warming goodness of home baked casseroles? These are just some of the treats that await in Bake. She shares both the sweet and the savoury sides of baking, whether quick snacks, wholesome breads and pies, exotic cakes and tarts or easy baked meals for friends and family. Fully illustrated with beautiful food photography including step-by-steps to take the mystery out of traditional baking and pastry making. Rachel also offers troubleshooting techniques for common problems and wheat or gluten-free recipes so nobody is left out of the fun! Rachel’s friendly and expert tuition make this easy-to-use book the best friend to every home baker. At the time of writing this book was voted the full 5 stars by Amazon reviewers. Gordon Ramsay has been in the news for all the wrong reasons lately. 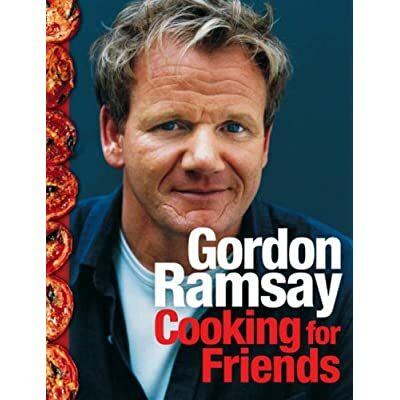 But that doesn’t detract from him being a great chef and having a range of popular cookery books available. Cooking for friends is just one of these. Cooking for Friends features over 100 inspiring recipes which both novice and more experienced cooks alike will be able to enjoy cooking for their friends and family. With chapter covering Hot and Cold Soups; Pasta and Grains; Fish and Shellfish; Meat and Poultry; Pies and Tarts; Vegetables and Salads; Puddings and Ices and Coffee and Chocolate, each recipe features an introduction to the dish and tips on how to re-create it perfectly. With emphasis on simplicity for stunning results, the majority of the recipes are concise and easy to cook. Annabel Karmel’s essential guide to feeding babies and young children has become a word-of-mouth classic. For 15 years this book has remained the number-one bestselling book on feeding children and it is consistently in the Top 20 Hardback non-fiction titles in the UK – an amazing achievement. This is a brand-new, illustrated edition of the “New Complete Baby and Toddler Meal Planner”. Annabel has brought her collection of mouthwatering recipes up to date, with new dishes, handy advice and tips and stunning colour photographs. She makes it easy for mums to give their child the best start in life with fresh home-cooked food. 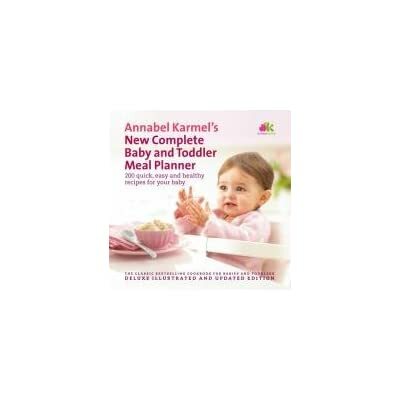 Plus Annabel offers time-saving menu charts to help you shop and plan ahead, and takes you effortlessly through each stage of feeding your baby and toddler, all based on her experiences as a busy mother of three. Give this classic bestselling book as a special gift to a friend, or enjoy using it in your own kitchen and your baby is guaranteed the very best start in life. The December book picks wouldn’t be complete with a recipe a day book. 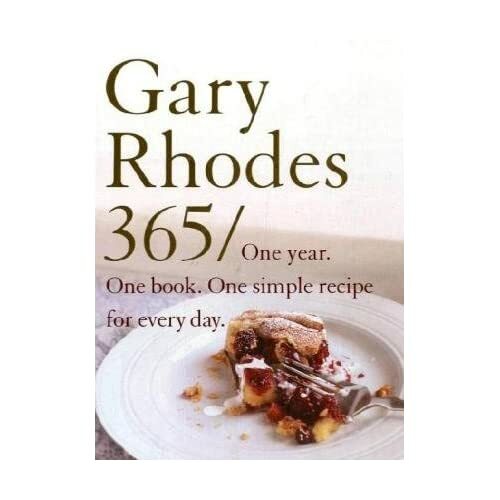 We’ve picked Gary Rhode’s 365. From breakfasts to feeding the kids tea when they get in from school, from suppers for one or two to more elaborate dishes for entertaining on a Saturday night, or feeding the whole family their full-on Sunday lunch, Gary’s recipes are some of the best things you will ever eat! With his unique take on flavour combinations he has drawn on his many years as one of the world’s top chefs to bring you recipes that are not only a delight, but incredibly simple to make as well. And if you need ideas for a special occasion, you’ll find a chapter dedicated to those too. 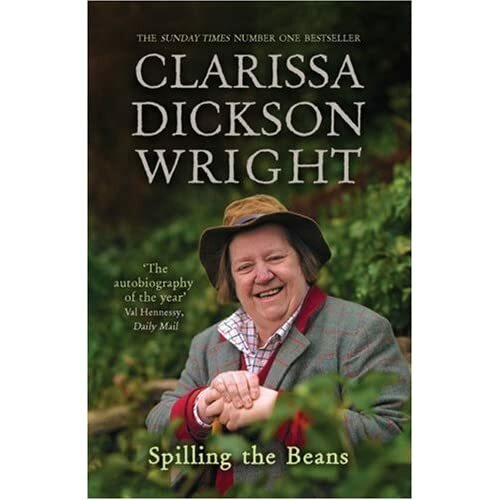 Clarissa Dickson Wright’s “Spilling the Beans” is this months cookery biography choice of the month. Then disaster struck when her adored mother died suddenly. It was to lead to a mind-numbing decade of wild over-indulgence. Rich from her inheritance, in the end Clarissa had partied away her entire fortune. It was a long, hard road to recovery along which Clarissa finally faced her demons and turned to the one thing that had always brought her joy – cooking. Now at last she has found success, sobriety – and peace. Over many years, Mary Berry has perfected the art of cake-making and her skills have earned her a reputation as the queen of cakes. Now she has updated her classic home baking bible, the Ultimate Cake Book, and once again shares with you the secrets of her success. 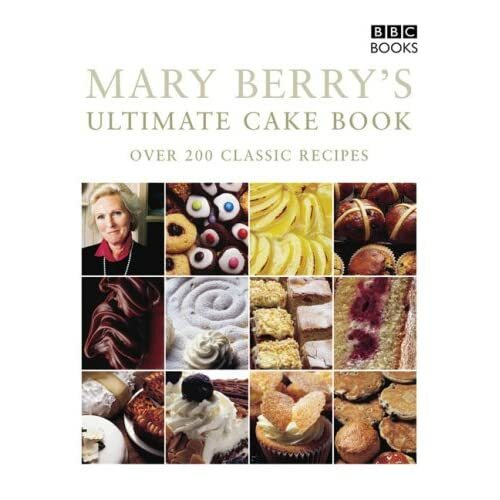 With over 200 classic recipes, Mary Berry’s Ultimate Cake Book includes recipes for every cake, biscuit and bun you ever wanted to bake and many more. From the traditional Victoria Sandwich Cake, Tarte Tatin or Millionaires’ Shortbread to the indulgent Very Best Chocolate Roulade, Swiss Wild Strawberry and Walnut Cake or Sharp Lemon Cheesecake there is sure to be a cake or bake here to suit everyone. Ideal for cake-making novices as well as more experienced cooks, Mary explains the basic methods of baking and gives advice on ingredients and equipment. Mary’s easy-to-follow recipes are interspersed with baking tips and solutions for the most common problems, making it possible for everyone to bake their favourite cake, whatever the occasion. Our final choice for December. With us plunging deeper into a recession, here’s a book which will save you money and stop food being thrown out. Tired of deciding what to cook? Want to maximise your meals, with minimum time in the kitchen? Recent surveys have shown that around a third of the food produced in the UK for human consumption ends up in the bin. This means that every adult is wasting hundreds of pounds-worth of food a year! So the time is right for a kitchen revolution. This is the life-saving cookbook you’ve been waiting for – home cooking using fresh, seasonal produce, with weekly planners, recipes and shopping lists that will enable you to maximise the weekly shop for you and the family. It’s the ‘back to basics’ approach, minimising waste through thoughtful shopping and a little preparation. Each week, you’ll have the opportunity to cook: Big Meal from Scratch – a delicious, filling meal for the whole family, e.g. poached chicken with elderflower and new potatoes; Something for Nothing – two easy meals that use leftovers in a tasty and inspiring way, e.g. new potato, asparagus and egg salad; Seasonal Supper – a quick, simple supper made from seasonal ingredients, e.g. spiced grilled lamb chops with radish and orange salad; Larder Feast – for when the fridge is bare, a whole meal just from store cupboard ingredients, e. g. beef and mushroom stroganoff; and 2 for 1 – a comforting meal that freezes well so that you can eat half immediately, and store half in the freezer, e.g. oriental pork and spring onion dumplings. Using this fantastic system, Rosie Sykes, Polly Russell and Zoe Heron have come up a recipe for every single day of the year. With foolproof recipes for every kind of occasion, they’ll guarantee that you’re making the most of your cooker, fridge, freezer and store-cupboard to create healthy and economical meals. Great website. I’ll be checking it out regularly. Thanks for the comments George, your website looks great too. George writes regular recipe posts on his site and has published several books. What I love about George’s site is the passion he shows for his recipes which you can feel in his writing. He not only shows the recipe but speaks at length of the origins of the food. All the best for your new book!